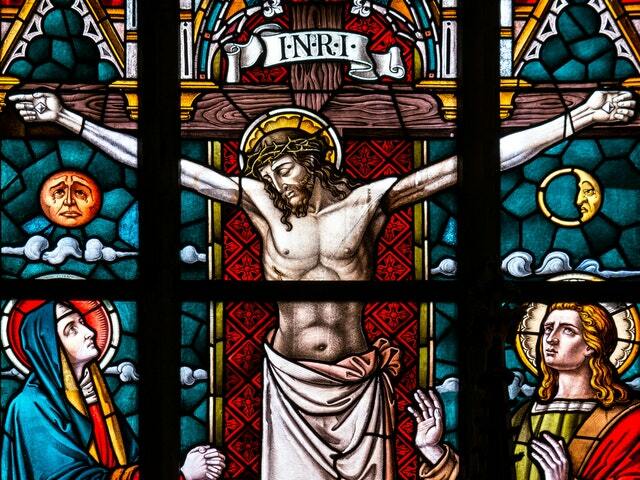 TRENTON, N.J. (CN) – The New Jersey Supreme Court questioned attorneys Monday over historic-preservation grants that let churches fix up their roofs and stained-glass windows on the taxpayer’s dime. Chief Justice Stuart Rabner said the text of New Jersey Constitution was clear: taxes cannot be used to build or repair churches. “How is this not a repair?” Rabner asked, noting that the difference between repairs and historical preservation seems mere semantics. Justice Barry Albin echoed that question. “Why can’t we say these grants include the repairing of churches?” Albin asked. Ken Wilbur, an attorney for the grant-recipient churches, tried to persuade the court that “repair is a different concept than preservation. “The government here is not spending its money to benefit religion, it is spending its money to benefit the public,” said Wilbur of the firm Drinker Biddle. John Bowens, who represents Morris County, meanwhile insisted that the local governments overseeing these grants make sure that the money is spent on preservation, which has a longstanding tradition in the United States, rather than on interior repairs. “Why would an entity that owns a historical building not have as one of its goals the preservation of the building that houses it?” Bowens asked the court. Though he conceded that the grants funded plumbing and mechanical repairs, as well as repairs to stained-glass windows in two cases, Bowens argued that none of the grant money had gone to interior repairs for the churches. Fighting the grant scheme Monday was Paul Grosswold with the Freedom From Religion Foundation. “These churches are not museums that are open to the public,” Grosswold said. Justice Lee Solomon disagreed. “Any church I’ve ever been to, and I’ve been to a lot, is open to anybody,” Solomon said. Several of the justices referred to new establishment clause precedent the U.S. Supreme Court set this past June in the case Trinity Lutheran Church v. Comer. In that ruling, the court held 7-2 that churches can receive state money for secular purposes, particularly those that promote the public welfare. Wilbur argued that the Trinity Lutheran requires New Jersey’s court to uphold the grant scheme. By preserving one historic building, the state is participating in a neutral public welfare program, he argued. Alex Luchenitser, associate legal director for Americans United for Separation for Church and State, argued that the problem with the Trinity decision is that mixed-use religious buildings — for example, a church basement used some nights as a soup kitchen — could not receive state funds. The state judiciary has thwarted government attempts to fund houses of worship in the past, including in 2016 when the appellate division ruled that more than $11 million in state grants to two religious higher learning institutes violated the state constitution. When taxpayer David Steketee brought the underlying challenge with the Freedom From Religion Foundation in 2015, he noted that a dozen churches were the recipients of 55 percent of historic-preservation grants managed by a New Jersey trust fund from 2012 to 2015. The yearly grants are designed to restore or replace certain portions of historic buildings in the county. In July 2017, roughly $850,000 out of $2.9 million in state grants were approved for six places of worship. Somerset County Superior Court Judge Margaret Goodzeit upheld the scheme in January. The Freedom From Religion Foundation’s appeal drew an amicus brief from the Becket Fund for Religious Liberty, which argued that defunding the churches would constitute disfavored treatment. “There is no legitimate anti-establishment interest that would forbid the government from preserving historical buildings,” the brief said, signed by Thomas Gentile with the firm Wilson Elser in Florham Park. “A church should be able to fund itself and should not rely on the public till,” he told the court, paraphrasing Benjamin Franklin.